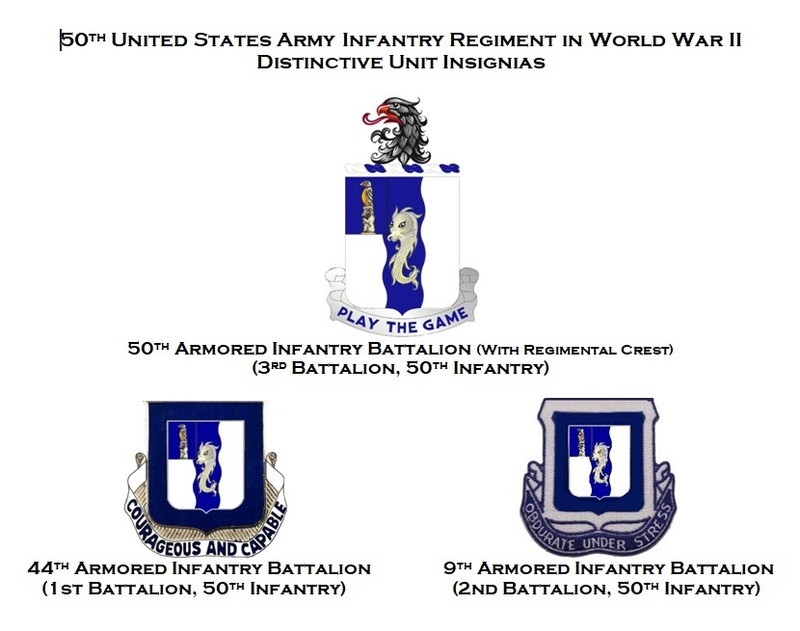 I recently acquired images of the 3 Distinctive Unit Insignia for the Battalions of the 50th Infantry Regiment during WWII. I believe I now have the only images of these three DUIs in their lineage positions for WWII. This is a major accomplishment!...as I can find no other image documentation on these three DUIs!